Allergic conjunctivitis is due to inflammation of the conjunctiva of allergic origin. It may or may not be accompanied by inflammation of the upper respiratory tract. It is due to the presence of several factors such as pollution, dust mites, pollen, animal hair or feathers, irritants such as solvents, makeup. It affects both eyes and is accompanied by redness with irritation, itching, tingling and tearing and may be accompanied by discomfort, foreign body sensation, or even pain. Allergic conjunctivitis is usually short-lived because the treatment is usually effective and occurs in four stages. 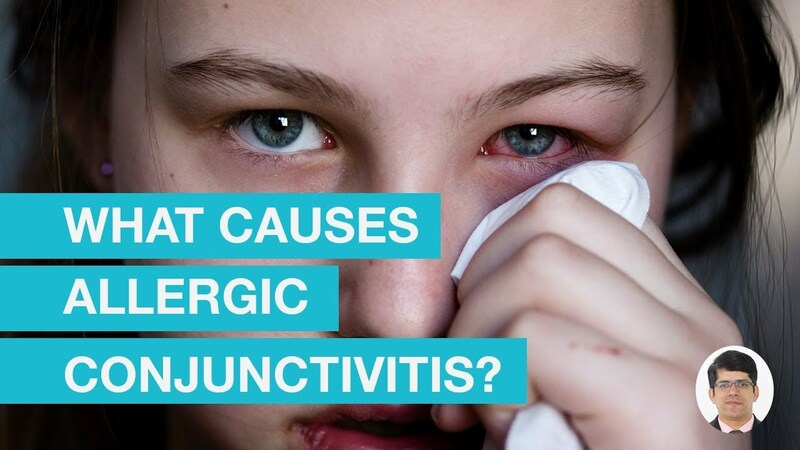 If you suffer from allergic conjunctivitis, avoid contact with what may have caused it if you can identify it. Avoid anything that could aggravate the irritation of your eyes, such as wearing contact lenses. Wash your hands every time you touch your eyes to minimize the risk of infection and decontaminate your contact lenses and case before reuse. Patients should not rub their eyes as friction can worsen the symptoms. Cold compresses can help reduce eyelid edema. Refrigerated artificial tears applied throughout the day help to dilute and eliminate allergens in the eyes. Do not wear contact lenses, given the propensity of allergens to adhere to lens surfaces. Avoid or minimize contact with known allergens. For patients with perennial allergic conjunctivitis, prevention includes specific measures to avoid specific allergens. 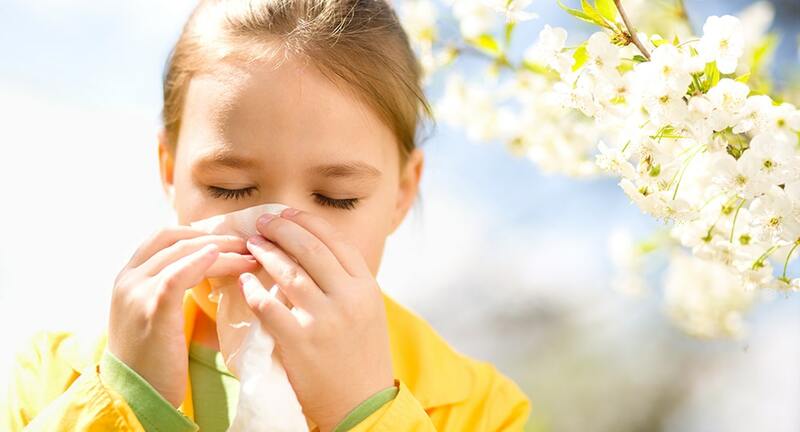 For example, for mite allergy sufferers, helpful measures include frequent replacement of bedding, pillows and blankets, reduction of moisture in the home, frequent vacuuming of parts, carpet removal, curtains and even antique furniture. Eye Drops Containing Antihistamines and Vasoconstrictors – Ophthalmic drops that should only be used in the short term, usually for less than two weeks, as they can worsen the picture in the long term. This type of eye drops actually improves itching, redness and eyelid edema, but the symptoms usually come back when the drug is stopped and so are not a good option for longer conjunctivitis pics. This type of eye drops is best suited for the treatment of acute and short-term conditions. Examples of eye drops that fall into this category are: naphazoline hydrochloride (Lerin®) and pheniramine maleate (Claril®). Ophthalmic drops containing antihistamines with mast cell stabilizers – are a new generation of eye drops for allergic conjunctivitis, being more effective than their predecessors and useful in the treatment of acute, seasonal or perennial forms. Although the initiation of these drugs occurs a few minutes after their application, their maximum effect is reached only within 2 weeks of continuous use. Ophthalmic drops with antihistamines and mast cell stabilizers may also be used preventively if the patient knows in advance that he will soon come into contact with an allergen. In these cases, eye drops may be administered the day before exposure to the allergen. In patients with seasonal allergic conjunctivitis, ophthalmic drops can be started up to 2 to 4 weeks before the start of the allergy season. Examples of drops that fall into this category are: olopatadine hydrochloride (Pazeo), epafastin hydrochloride (Relestat®) alcaftadine (Lastacaft®) azelastine hydrochloride (Rino Lastin®), ketotifen fumarate (Zaditen®) and emedastine difumarate (Emadine®). Eye drops containing corticosteroids – these eye drops are very effective at controlling symptoms, but its use should be limited to only two weeks, because the risk of serious effects of colateiras such as cataract development, glaucoma or the eye infection is very high. In general, drops of corticosteroids are not indicated for short-term use in patients with relevant symptoms who have not responded adequately to ophthalmic drops with antihistamines and mast cell stabilizers. Examples of eye drops that fall into this category are loteprednol (Loteprol® or Alrex®), prednisolone (Pred Fort®, Pred mild® or Ster®), and fluormetolone (florate®). Antihistamines: they fight allergic reactions. The main ones are eye drops containing azelastine hydrochloride, levocabastine, Sodium cromoglycate, epinastine hydrochloride, luteamide trometamol, olopatadine hydrochloride and nedocromil sodium. Antiseptics combined with an antihistamine: they fight allergic reactions and limit superinfection. The main ones are eye drops containing chlorhexidine gluconate and phenylephrine hydrochloride and benzalkonium chloride and N-acetyl-aspartyl-glutamic acid. Non-steroidal anti-inflammatory drugs: they calm inflammation, pain and foreign body sensation. The most used is an eye drops containing ketotifen fumarate. Anti-inflammatory steroids or corticosteroids: they are reserved for so-called “severe” cases and calm very quickly, inflammation and itching, pain and sensation of foreign body. Their use is limited and monitored because they present an increased risk of superinfection and are subject to a medical prescription. In case of significant allergy, the doctor may prescribe antihistamine drugs in tablets. Antihistamine tablets are a good choice for patients who have other allergic symptoms besides conjunctivitis. However, when the allergy affects the eyes only, ophthalmic drops should be the preferred form of treatment because they are more effective, have a faster onset and are less likely to cause systemic side effects. There are natural treatments (non-medicated) that consist of washing the eyes with saline and instillation of a homeopathic eye drops that relieves eye irritation associated with the taking of granules or homeopathic doses of Euphrasia officinalis 9 CH. Allium cepa 9 CH in granules soothes the water and Apis mellifica 15 CH relieves you if you have swollen eyelids. Previous « How to Improve Your Health with Sleep! Physical Rehabilitation Career – Could It Be Healthy for you?